Hi my name is Art Tevs and I would like to present you my project, named OpenBM_E39. OpenBM stands for: Open Source Bordmonitor. The project is mainly targeting all BMW enthusiast, who would like to improve the standard BMW multimedia equipment with their own configurations. On this webpage, I would like to present you a device made out of the original BMW's 16:9 bordmonitor housing found mainly in E39/E38 as also X5. The device can seamlessly be included into original BMW equipment and deals as an output/input device for a CarPC. Parallel to my implementation, Bengt-Olof Swing started to do his own. He presents his project here. The implementation is completely different and is mainly meant to be for E46 with additional support for E39. The software used by the OpenBM device is currently not publicly available. 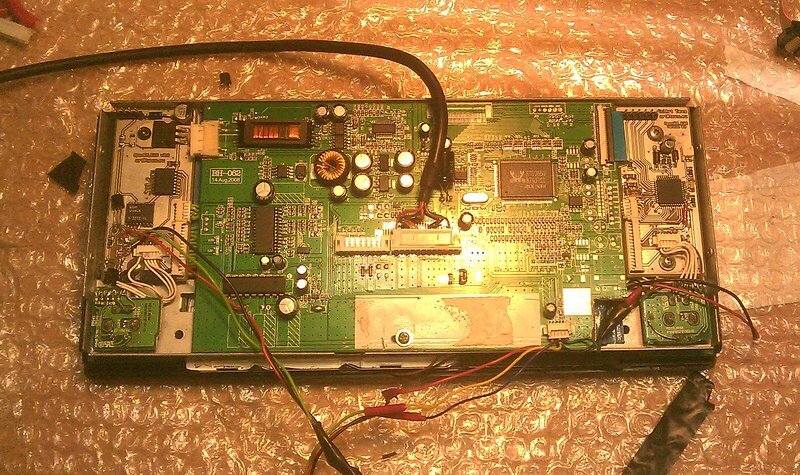 However, you can ask me for it, and you can get the firmware used by the OpenBM device. 26th, June 2010? Based on the original 4:3 frame the OpenBM housing was created. Additionally cables required for CarPC were installed. 1st, June 2010? First software running emulating MID device. I made a video showing the device in action. April 2010? Prototype replaced by professionally etched PCB. SMD soldering and error patching was then performed by hand. October 2009? Put a new display into the bordmonitor housing. 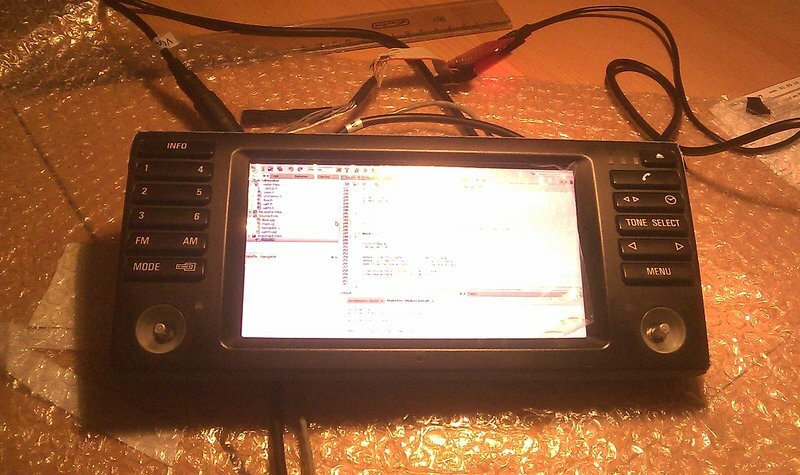 In this case I am using a 7'' display with native resolution of 800x480 pixels. At this place, I would like to thank Bengt-Olof-Swing for his helpfull comments. You can visit a thread from MP3car-forum where he shows his results so far, click here.